* Partial profits signal for FB, a 14% gain in 24 days. 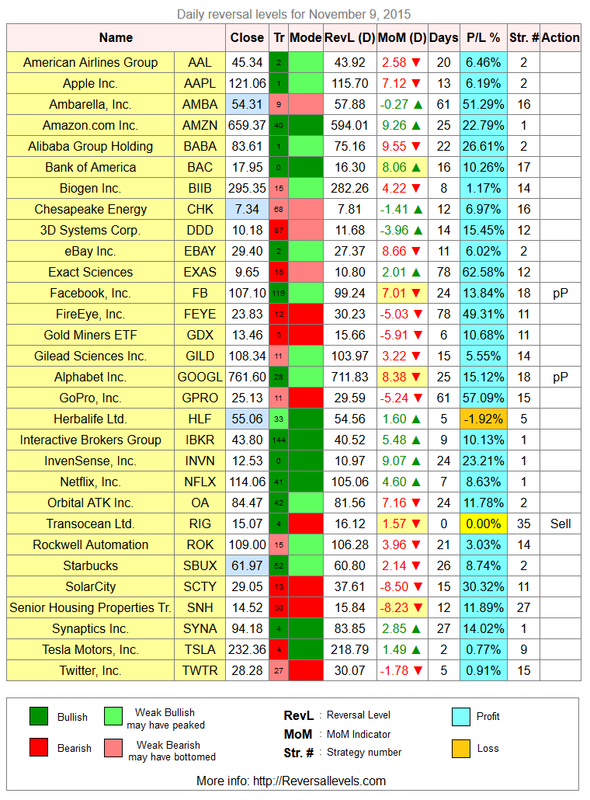 * Partial profits signal for GOOGL, a 15% gain in 25 days. 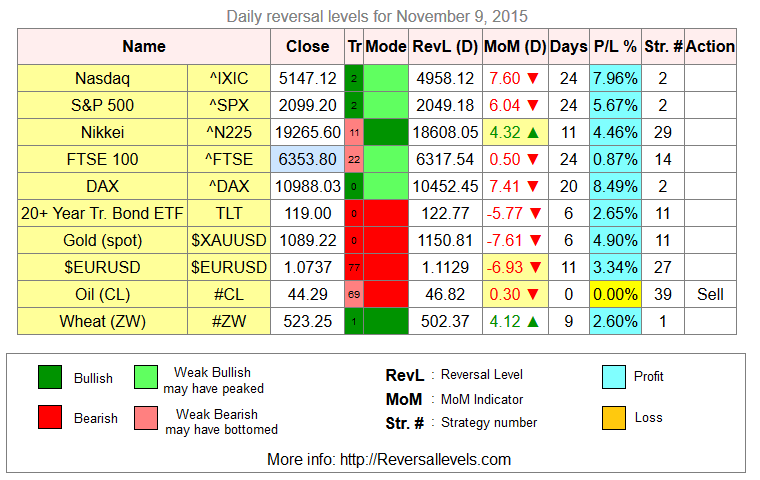 * The latest weekly reversal levels are just out: click here (Free).